A box begins to fill with supplies Friday, Aug. 3, 2018, at the United Way of Northwest Arkansas Fill the Bus drop-off location at the Walmart Supercenter on Pleasant Crossing Boulevard in Rogers. Volunteers are manning busses at ten Walmart Supercenter locations in Northwest Arkansas and Pineville, Mo. from 9:00 a.m. to 3:30 p.m. Friday and Saturday to sort donated school supplies. The donations will go directly to the district the Walmart location is in. 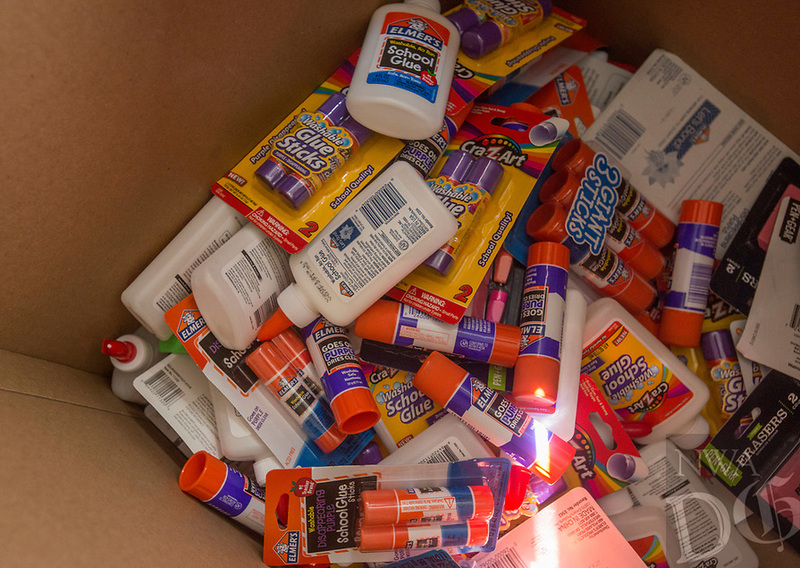 Over the past ten years, the annual drive has helped more than 35,000 students in 12 school districts get the supplies they need to start the school year.